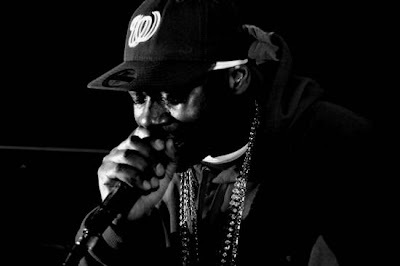 That's That...: Ghostface Killah - "Josephine" X "The Champ" X "Mighty Healthy"
"Josephine" is simply a beautiful, soulful song song, depicting the struggles of the titular character growing up in an impoverished neighborhood. Their are two versions of the song, one of which comes off of Ghost's 2006 album More Fish and features a second verse delivered by Trife Da God. This version is from producer Hi-Tek's Hi-Teknology 2: The Chip, and replaces Trif's verse with one by Pretty Ugly. Both are beautiful, but I tend to prefer the later. "The Champ" comes courtesy of the Ghost's classic Fishscale. The Just Blaze-produced track combines dubbed Rocky 3 quotes with a hectic, rock-infused sample that provides a backdrop for the Ironman to lay claim to the throne as the King of New York while dismantling flavor-of-the-month candy-coated rappers. I dropped "Mighty Healthy" on the fourth mixtape, but it deserves its own shine on this post. Despite the low-key sample, Ghostface's rhyming brings a frenzied pace to the song and is a perfect example of his stream-of-consciousness flow. The song is simply a classic Wu track. Hi-Tek, Ghostface, Pretty Ugly, & the Willie Cottrell Band - "Josephine"